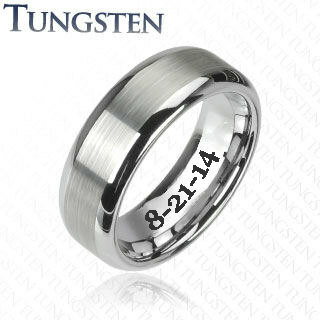 These Tungsten rings and bands are a wonderful gift for your loved one. 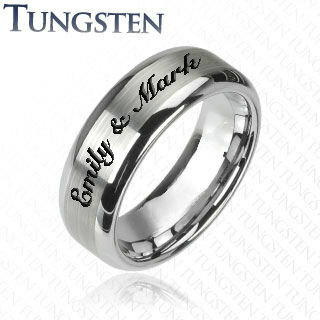 Tungsten Ring very attractive and extremely durable. It keeps its luster much longer than other metals. Feel free to wear it on a daily basis. The lightweight design makes it a sporty style that is easy to wear. This Tungsten Ring makes a great everyday accessory! It is a wonderful gift that they will always remember.